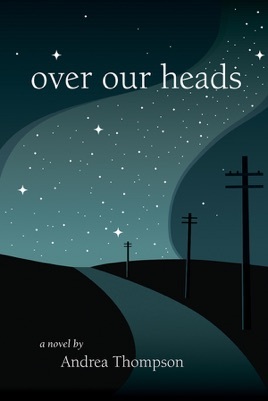 Over Our Heads is a novel that weaves together the histories of two very different half-sisters who return home to deal with the aftermath that occurs when the grandmother who raised them dies. Emma, a punk band singer and poet turned pet psychic, and Rachel, an actuary with an interest in astronomy, both carry the remnants of childhoods overshadowed by issues of bullying, abandonment, alienation and fear. In the raw terrain of profound loss, the two sisters struggle through the stages of grief – each in their own way. The past merges with the present, as through the process of emptying the family home, each woman is taken back to their childhoods in 1970s Toronto and Vancouver, where they navigated a social climate rife with racism, homophobia and marginalization of the mentally ill and cognitively disabled. Over Our Heads is a story about kindness, compassion – and the lack of it, on both a societal and individual level. It’s about growing up wounded, and the generational legacy of suffering such wounds can create. It unearths the painful family dynamics that can arise from our perception of memory, and how these dynamics colour both who we are, and who we believe others to be. It’s a story of acceptance, forgiveness, redemption, and the beauty that can be found in the imperfection inherent in being human.